The Seymour Duncan AHB-1s Blackouts 7-string Phase I set features the same amazing 9V active pickup setup as 6-string Blackouts humbuckers. 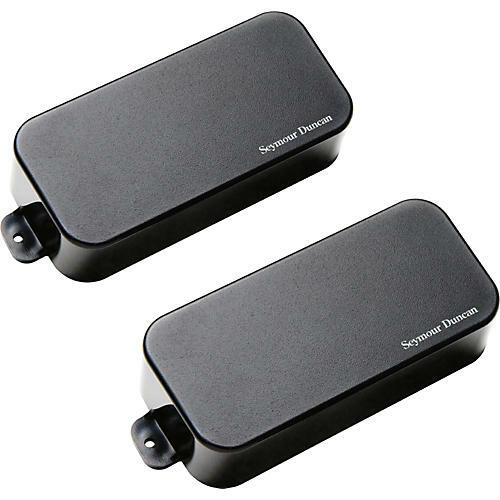 The Duncan AHB-1s Phase I set is a direct retrofit for passive 7-string humbuckers made by Seymour Duncan and DiMarzio. Like 6-string Blackouts, Duncan 7-string Blackouts pickups use balanced inputs with a differential preamp for reduced noise. Blackouts are voiced for heavy rock with greater dynamic range, less scooped mids, and less compression than other active pickups for electric guitars.